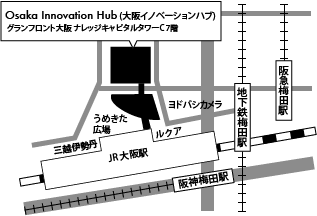 Nara Institute of Science and Technology（NAIST）operates crossXcross (cross-by-cross: the entrepreneur cultivation program by multi-directional crossover PBL) program as a part of "EDGE-next" funded by Japan Ministry of Education, Culture, Sports, Science and Technology. crossXcross (Cross by Cross) aims to develop those who can keep pursuing difficult challenges by involving and collaborating with other people with different skills and personalities for realizing innovations. In the 3rd round of crossXcross workshop, we will devise business ideas that will lead to innovations from Asian countries by addressing global social issues represented by SDGs together with local Thai people in cooperation with Kasetsart University. People who produce excellent ideas will be selected as a challenger for a business pitch contest at the final workshop scheduled to be held in Bangkok. No specific experiences and skills are required! Remote collaboration by interconnecting with the Internet. The staff of NAIST will provide the information on the social issues. December 8 (Saturday), December 22 (Saturday) 14: 00 ~ 18: 00 (13:30 opening) ※ If you can not conveniently participate in only one day, absences will be allowed (follow-up will be made by groupware). Students from Thailand (Kasetsart University) will also remotely participate. Discuss issues in Asia or around the world, starting with the introduction of issues in their respective countries, and consider business and innovation opportunities addressing the issues. * Participating only either one will be also accepted (If there are many applicants, those who attend the both workshops will have priority). We will follow up absentees with some groupware. Consultant, 23 Perspective Co., Ltd.